A planning application was submitted in August 2010 for the retail premises on Lydgate Lane, presently occupied by Motor World, to extend the building to three times its present size. Planning application 10/02657/FUL indicated permission was being sought to change its use to a convenience store/market, possibly by one of the big supermarket chains. Work has already begun, with the removal of a number of trees from the site. 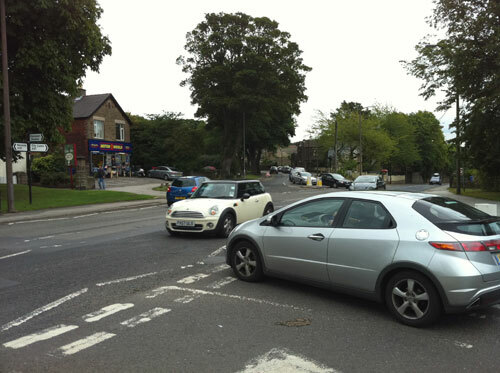 The application raised many questions, including how this might affect the viability of the present shops in the precinct, and crucially, what added pressure will this impact on road safety, at what is an already very busy junction with Manchester Road and Sandygate Road. A planning board meeting took place on Tuesday 2 November 2010, where the application was rejected by a majority of five votes to three with one abstension. Prior to the meeting the planning officer’s report (see pages 34-42 (PDF, 3.7MB) recommended that the committee refuse planning permission for the convenience store application 10/02657/FUL on the grounds of unsuitable/insufficient car parking accommodation and inadequate on-site servicing provision and servicing from the highway. The applicant submitted additional information before the meeting with regards to highways issues in order to demonstrate how servicing of the unit would be carried out. Residents were invited to comment on the application before Friday 17 September 2010 on the Sheffield City Council Planning Applications website. Over 160 comments were submitted to the council. In December 2010 we received notification that Turner Investments has appealed the decision. The appeal will be decided on the basis of an exchange of written statements by the parties and a site visit by an inspector. Residents with views on the appeal were invited to submit their comments on it by 26 January 2011. On 13 April 2011, the Planning Inspectorate published its decision, concluding that the appeal has been dismissed. The main issue was that highway safety would be compromised by the proposed development.